There is an age-old question how do you present a masterful work of art created in the nineteenth century to a contemporary audience. Grand opera, like much of Shakespeare, is often concerned with universal themes of the human condition. Stories of tragic love, betrayal, and death are presented for our entertainment. Verdi’s famous opera Rigoletto is one such example. For a Christmas treat my father and I recently went to see Rigoletto at the Royal Opera House. This is the David McVicar production first staged in 2001. The staging admirably sets the mood. It is simple, dark and foreboding with much in gloom. Perhaps it is a bit too dark, as I would like to have had brighter pools of lights for the solos and duets so we could actually see the singers’ faces. 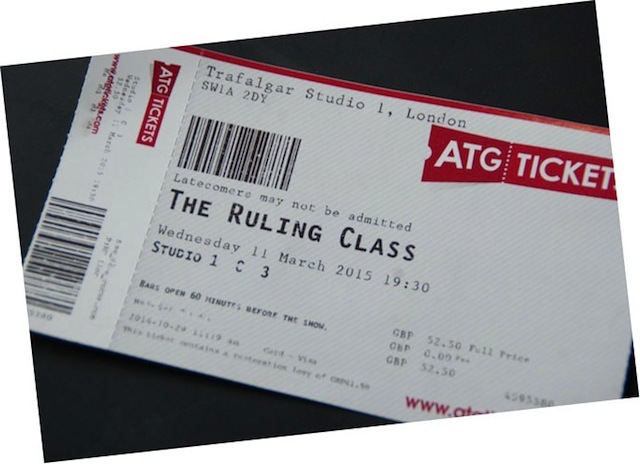 David McVicar’s production is a no holes barred, most deliberately sleazy, with a capital ‘S’, production. Yes, Rigoletto, from the Victor Hugo play, shocked its original nineteenth-century audiences in Italy to the point where it was banned. However, for a twenty-first-century audience we are fine with a probing light illuminating the depravity of absolute power that is displayed by the medieval Duke of Mantua as he exploits his subjects in a virtually lawless manner. We are not, as the nineteenth-century folk were, troubled that their social order would be disturbed by this politically provocative opera. Nevertheless, this 2001 production is problematic today as far as contemporary gender politics is concerned. As Verdi scored, there are no ‘singing’ parts for the female members of the chorus. In opera terms that means all the women of the chorus are simply littering the stage as objects. In this case to be used and abused, they have no voice, therefore no agency. Despite no collective female singing, there are four solo female parts. These characters appear to stand for the virginal (Rigoletto’s daughter Gilda), the whore (Maddalena), the old nurse/matron (Gilda’s nurse) and the aristocratic lady (Countess Ceprano). I suppose standard females rolls reflecting the nineteenth-century commonly held view of the place of women in society. This is despite the fact the record shows many women worked in factories as well as working as servants, or on the land or in trade. And, working women were also evident during the medieval period in which Rigoletto and indeed this production has been set. So what can Rigoletto offer its 21st audiences? Verdi wrote it in the music, it is the psychology of humankind; those flesh and blood traits that cross the centuries and with which a modern audience can identify. Attempting any tweaking sanitization of Verdi’s Rigoletto would be utterly pointless and the wonderful music has so much to convey not least the loving relationship between a father and his cherished daughter as well as all that bravura, dramatic evil. However, in this particular production subtlety is absent. Of course, nobody would want to dismiss a work of art because it reflects the mores of a different time, but I think this nineteenth-century piece could have been given a more reflective interpretation. 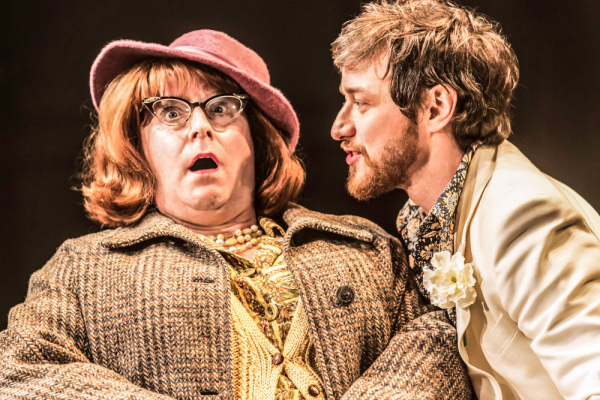 Surely, it is time the ROH invited a new director to tackle this magnificent tragic opera with a fresh, more nuanced production. One very positive aside, was the discovery (well, for me) of a new voice, the young bass Andrea Mastroni, most certainly one to follow in the future. I know it’s known as the short month, but sometimes February simply feels too long. I often find it more gloomy than the dark days of November. Perhaps it’s the closeness of the much anticipated spring compared to the everyday reality of more grey, depressing drizzle. So I thought I’d consider some uplifting, diversions and a culinary treat! Blue flowers – no fresh ones in the garden yet, but these saved and dried from last year. or, that brief moment of low February sun at home. Cake. Making a naughty, but nice treat. . . . and naturally eating it! Memories. A moment of sentimental recollection on finding long forgotten toys during an otherwise fruitless search of all those boxes in the attic. It’s the first day of December and we can now ‘officially’ mention Christmas! Round my way we’ve already had an increase of delivery vans and hardworking folk dropping off parcels well into the evening darkness. Each year the Royal Mail issues its last posting dates. You don’t want a special Christmas gift to turn up in January! But, of course, things don’t always run as smoothly as hoped for and just to be on the safe side my dates are not quite so last minute. In the last three years I have found the Special Delivery service very good and only once has a silk scarf, boxed and packaged, temporarily taken a detour to the wrong sorting office. With the full tracking information I saw it arrive in Scotland at a sorting office on the wrong side of the loch. What was probably a 15 minute trip across the water was a 30 mile trek by road and another day added to the delivery time. A worrying time for both me and my customer, but a successful delivery in the end. Last week I accompanied my father to see ‘Werther’ at Covent Garden. There’s nothing quite like an evening of intense operatic drama with a suitably tragic ending to provide catharsis during unsettled times. Massenet’s ‘Werther’ is based on the 18th-century classic of German literature ‘The Sorrows of Young Werther’ by Goethe. The tale was published in 1774 and rapidly became popular across Europe as a book of cultural significance. It is the story of a young man who lives by his ideals and kills himself for love. Massenet’s operatic version, sung in French, first premiered over 100 years later in 1892. Notably, in the production I saw last week in London, Werther was the Italian tenor Vittorio Grigòlo, Charlotte was the American mezzo soprano Joyce DiDonato, Albert was the Serbian baritone David Bižić and Sophie the American soprano Heather Engebretson. The performance was conducted by the Royal Opera’s Music Director the British-Italian Antonio Pappano. Other members of the cast were from Holland, Switzerland, Ukraine and Australia. The international buzz continued across the audience. I heard Spanish, Italian and American voices and I was sat next to a German couple who spoke brilliant English. It was a positive microcosm – no pathetic threats here of sending people back! 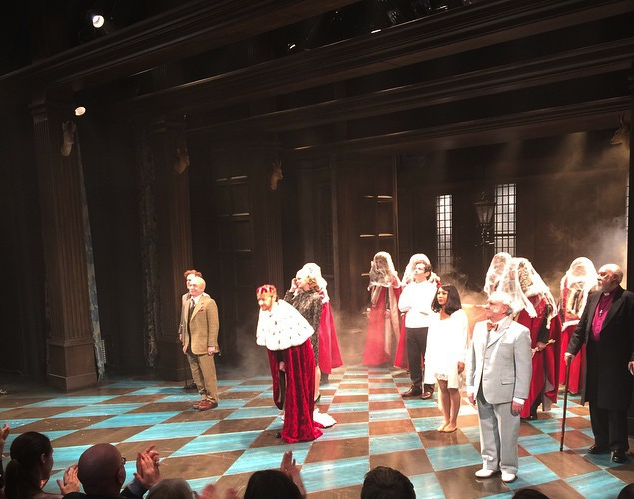 An international cast takes a bow. The music was superb and the orchestra was in fine, truly dynamic form as it played to the masterly conducting and interpretation of Antonio Pappano. I’m no expert on French late-nineteenth-century opera, but I found this production riveting, gleefully wallowing in the emotional agitation with the musical tension escalating as the drama intensified. The acting of both DiDonato and Grigòlo was engrossing as they sang with fire and passion. It is a while since I’ve seen a live performance with the tingle factor, but the desperate, hopeless pain of Act 3 sent shivers down my spine more than once. Their singing was not perfection, but who’s complaining when it was so expressive and heart-wrenching. Frequently there’s something lacking in ‘perfect/multiple take’ studio recordings compared to experiencing the vibrancy of live performances. Backstage at the ROH – the Act 4 attic room photographed by David Bizic who played Albert in the production. And, as for the production, quite brilliant. The staging and lighting matched the progressively darkening mood of the opera moving from a brilliant blue summer, to a gloomy interior to a black winter night with falling snow. Act 4 was visually thrilling too as the distant attic room (shown above) slowly moved from the depths of the stage to the very front, mystically gliding towards us within a night of falling snow as the orchestra played ‘The Night before Christmas’. At the end of this harrowing tragedy the two stars looked emotionally drained, but fortunately were revived by the rapturous applause they received. Werther and Charlotte receive their rapturous applause. And, finally the conductor left the orchestra pit and came on stage. Bravo, bravo. Antonio Pappano joins his singers. Did I mention I loved this? Homemade marmalade made with Seville oranges. Every year during January and February Seville oranges (Bitter oranges) arrive in our local fruit shops and supermarkets. 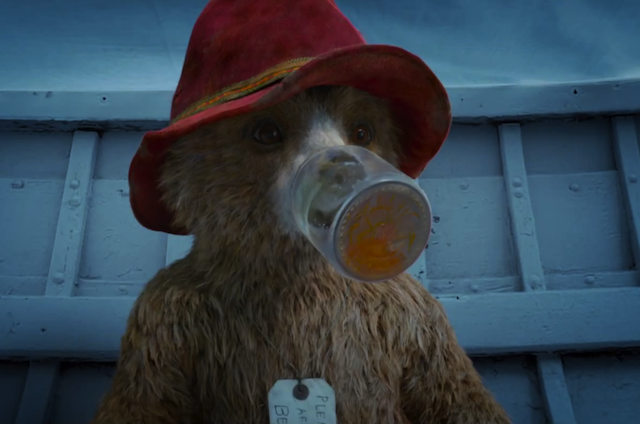 I’m not sure if it’s because I recently saw the film ‘Paddington’ (and he does love his marmalade sandwiches), but this year I decided to make some marmalade. 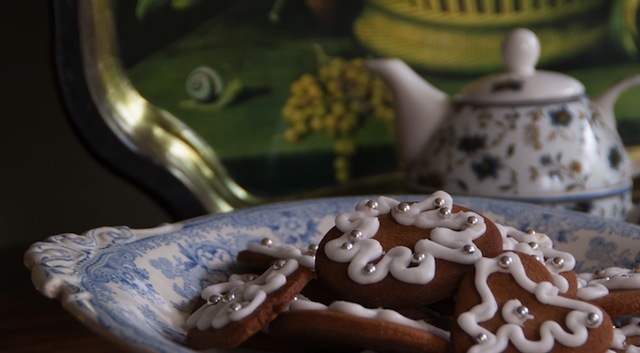 Of course, alternatively it could be having all the glamour of the Tudors every where you look, that I unconsciously made a few connections – Henry VIII, Elizabeth I, Mary Queen of Scots – marmalade! 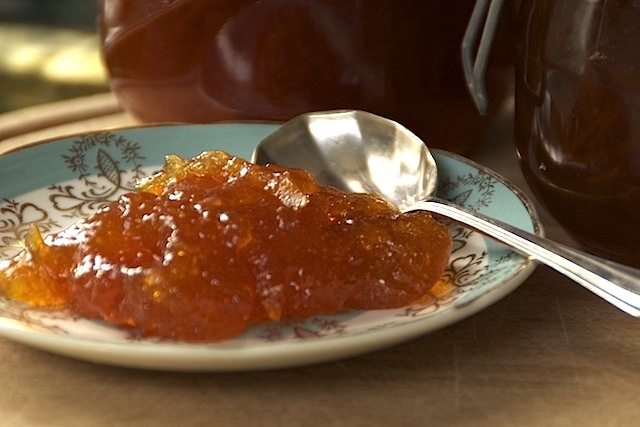 It’s one of those English things we were told at school that the word marmalade comes from Mary Queen of Scots when a French cook concocted a preserve from Seville oranges for a sickly Mary – ‘Marie est malade’. Not true, (doesn’t surprise me) a far more accurate history of marmalade suggests Henry VIII would have known the preserve which was imported from Portugal and made from quinces. 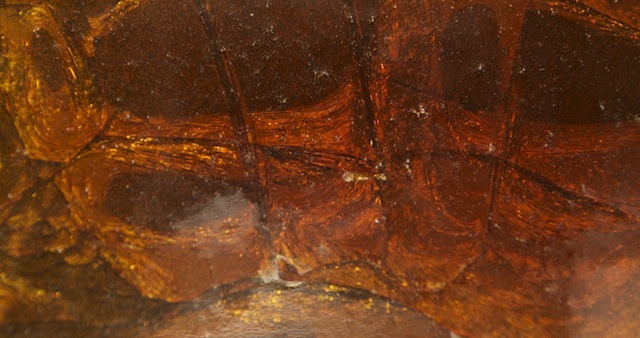 Then it appears that gradually this recipe was adapted to use other fruit including bitter oranges. 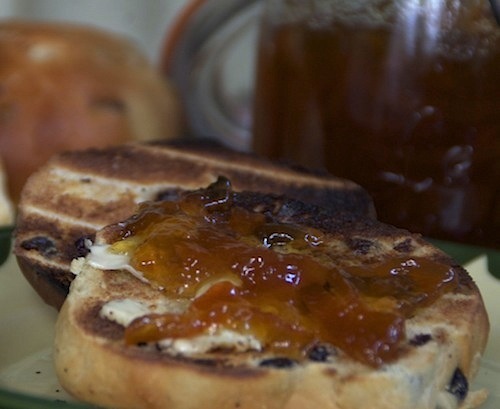 Split marmalade teacake toasted, buttered and topped with marmalade. I used a BBC Good Food marmalade recipe which I’ve made before. 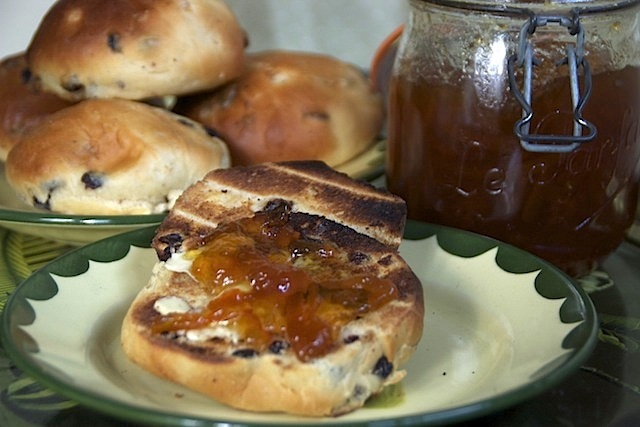 And, in for a penny in for a pound I found an interesting recipe for ‘marmalade’ teacakes (light yeasted buns with dried fruit). It was really a basic teacake recipe with 150 grams of HOMEMADE marmalade dissolved in the milk that is added to the flour to make the dough. The finished teacakes looked nice and were pleasant when toasted and buttered, but I couldn’t specifically taste the marmalade flavour unless a bite included a chunk of shredded peel. Well, you know, why not spread with extra marmalade! 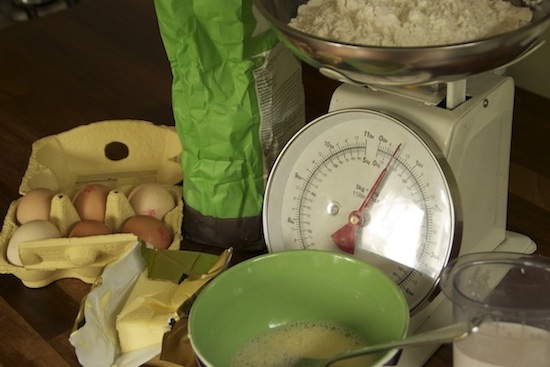 Do we need an excuse to bake rich, indulgent treats? Sometimes it is easy to believe all the hype in the media that everybody is the same the planet over. But that is plainly not true as we can see in the ‘Blogging World’. Not everyone celebrates Christmas and of those that do not everybody celebrates in the same fashion. We don’t all have turkey, Christmas pudding and mince pies. Living in East Anglia there are plenty of Christmas traditions, however the traditional mid-winter celebration and feast predates Christianity. Our weather may not be as harsh as the northern regions, but a mid-winter treat certainly brings a glow of pleasure in the midst of all the grey and gloom. The New Year was my excuse for an indulgent treat and I baked a white chocolate and stem ginger cheesecake (the Mary Berry version). 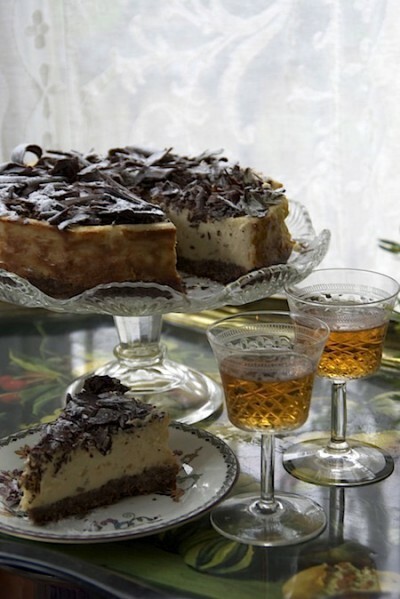 Firstly I made the cheesecake base with melted dark chocolate and butter mixed into some crushed digestive biscuits. 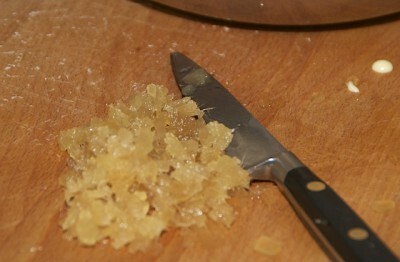 Then, I finely diced four bulbs of stem ginger (that is ginger preserved in syrup). Then I beat together two tubs of cream cheese with half a pot of sour cream and two beaten eggs in the whizzy machine. Finally I mixed in a couple of bars of white chocolate that had been gently melted over hot water along with the prepared stem ginger and a teaspoon of vanilla extract. 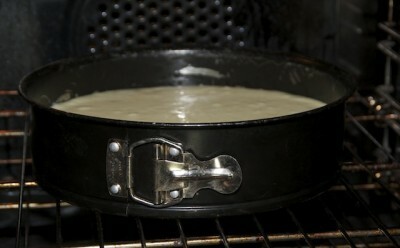 After pouring all the mixture onto the biscuit base the cheesecake was baked for about 45 minutes. Delightfully easy to make and delightfully easy to eat! 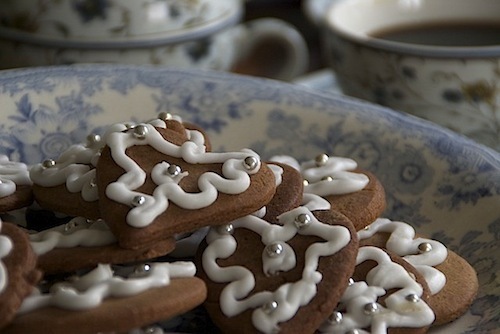 What was I thinking when I made a tin full of gingerbread Christmas cookies over a week ago – that they would last until Christmas! More fool me and, of course they’ve already all been eaten and now a second batch are required. Just as well I enjoy a Sunday afternoon bake. It’s quite an easy recipe. 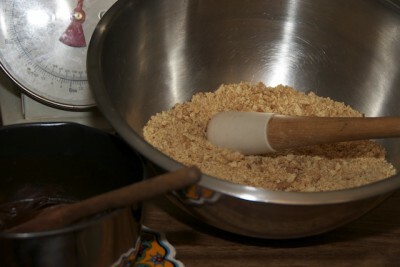 After melting together butter, muscovado sugar and golden syrup you mix in the dried ingredients flour, spices and a little bicarbonate of soda. 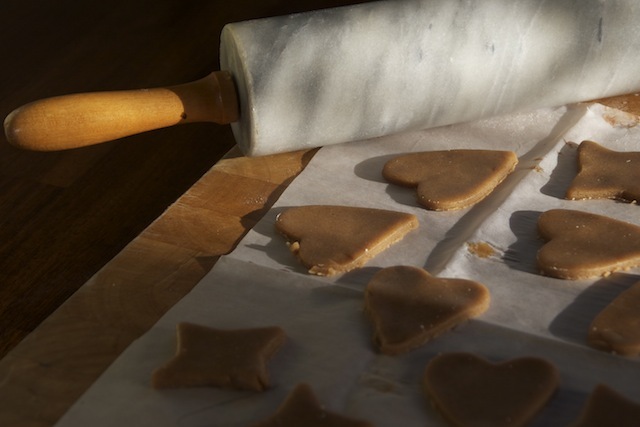 Following a light kneading the gingerbread dough is given a 30 minutes chill in the fridge before rolling out and cutting into shapes. The recipe I use says 12-15 minutes in a moderately hot oven, but I’ve found if you like a crispy snap then 20 minutes is needed. Finally, pipe a few swirls of royal icing decoration. My piping skills are minimal and made worse for this batch as I cut the hole on the icing bag too big, but by then I’d filled it with the icing and wasn’t going to start again. Sometimes near enough will just have to be good enough. Well, this week in UK telly land sees the final of the Great British Bake Off. Not to everybody’s taste, but I have enjoyed this pleasant and rather quaint diversion from all the bad news filling the airwaves. The GBBO has also nudged me into having a go at baking off-piste shall we say. That is I’ve been experimenting and devising new combinations for old recipes. My latest weekend bake was a version of sticky buns. Yeast cookery isn’t too difficult it is mostly about not being in a hurry. 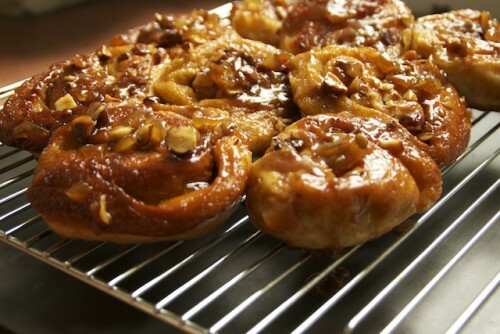 These sticky buns are made with an enriched dough studded with stem ginger and hazelnuts and baked with a coating of my buttery, caramel sauce. It’s the caramel that gives these buns the glossy, sticky finish. 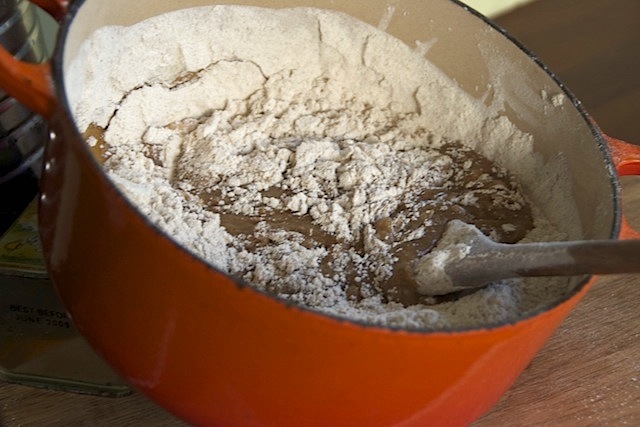 Enriching a dough means adding butter, sugar and eggs which makes a softer, heavier dough. However, the addition of fat and sugar also slows the action of the yeast and therefore the proving time has to be longer. But the waiting is worth it when you sample the finished sticky buns. The bite of the stem ginger cuts through the sweetness of the sticky caramel coating. 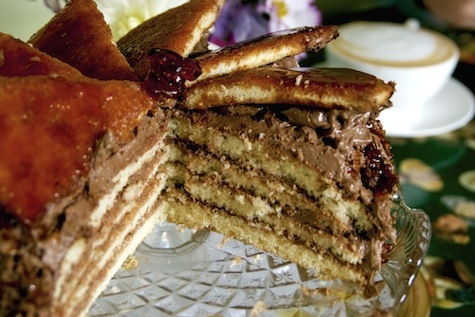 GBBO – European Cakes – How about a Dobos Torte? During the run of the BBC’s ‘Great British Bake Off’ there are some weeks when I watch and think, yes, I’ll have a go at that. And, naturally, I do like cake. Here are a few photos taken over the course of several hours as I followed Mary Berry’s recipe for a Dobos Torte from her book ‘Mary Berry’s Ultimate Cake Book’. As you can see my copy (bought 1994) is rather tatty and well-used, but this was one recipe I hadn’t tried. Spelled, in error Doboz not Dobos and hailing mistakenly from Austria when József Dobos was actually Hungarian, this recipe was still worth trying out! Firstly, you have to prepare the cake layers. In this recipe they are made using a simple fatless sponge recipe although I noticed on the GBBO they suggested a Genoese sponge. 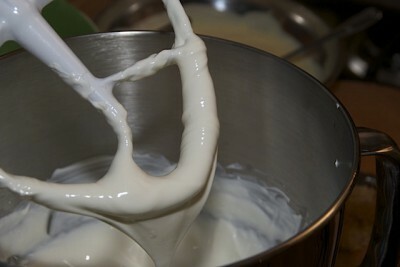 Either with or without butter the mixture has to be whisked for some minutes to get the volume. Mmm – I was supposed to get six layers, but obviously misjudged the amount of mixture for each circle and only ended up with five. Of course, each layer was then not as thin as it should be, but still they were quite thin and baked really quickly and so a couple (perfectionists look away now) were OVERBAKED! Whilst the circles of sponge cooled I made the ‘fancy’ butter cream. 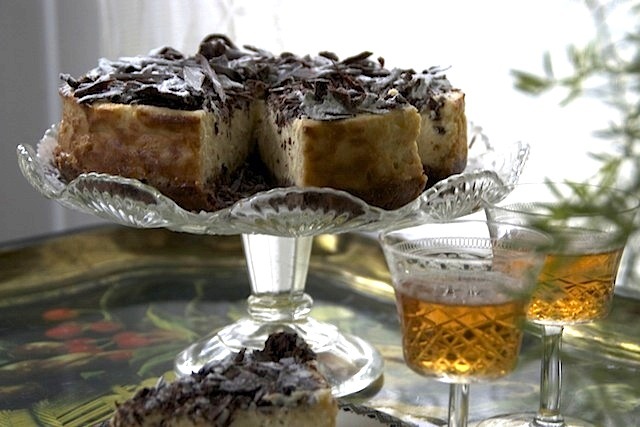 This involved whisking egg whites with icing sugar over simmering water, adding to softened beaten butter and then incorporating carefully melted dark chocolate. At this point I thought if I make this again I’ll sandwich with chocolate ganache instead. Moving on to the caramel. Well, it is a waiting game and then because I was fussing with camera – oohh it so nearly burnt. And, I didn’t want a ‘bin’ episode. Caramel all fine – it should be I’ve been making it since I first made peanut brittle as a 13 year old at school. Don’t think that would get past health and safety these days. I think the most tricky part when making this cake is achieving the clean cut caramel wedges for the top. You do need to be vigilant and catch the moment for marking and then slicing the top caramel soaked layer. Time to assemble, invite other cakeaholics round for coffee and biscuits, sorry cake, and cut. Author agnesashePosted on September 11, 2014 September 11, 2014 Categories Everyday Photographs, TreatsTags cake, caramel, caramel cake, continental cakes, Dobos, Dobos Torte, European cakes, GBBO, Great British Bake Off, homebaking, Mary Berry, ultimate cakes12 Comments on GBBO – European Cakes – How about a Dobos Torte?